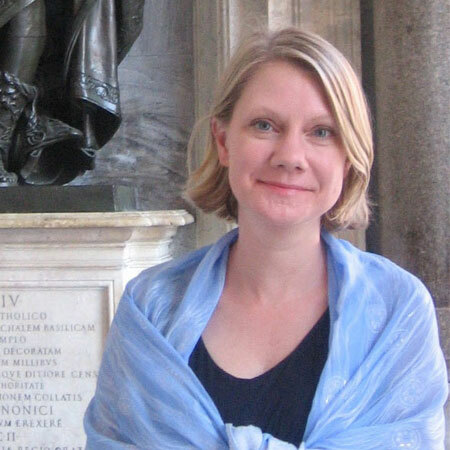 Associate Professor Tanya Tiffany presented her paper, “Material Religion: Lima’s Nazarenas and the Earthquake of 1746” on April 29 at the Latin American Studies Association conference in Lima, Peru. On Tuesday, May 9, 2017, the UWM Art History Gallery hosted Art Exposé. On Thursday, March 30, Tanya Tiffany presented a paper — “Divine Consecration or Demonic Possession: Estefanía de la Encarnación and Miraculous Images in Seventeenth-Century Spain” – at the Renaissance Society of America Conference in Chicago. 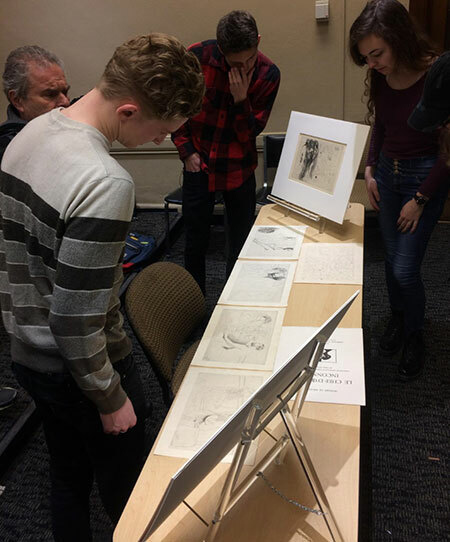 Visiting Assistant Professor Sarah Schaefer’s ARTHIST 463: Cubism and Its Inheritance class viewed six of the thirteen plates from Pablo Picasso’s illustrated etchings from Le chef d’oeuvre inconnu by Honore de Balzac housed in the UWM Art Collection. On Tuesday, April 11, 2017, the UWM Art History Gallery hosted Art Exposé. Art Exposé is a monthly gallery talk that exhibits a selected object from the UWM Art Collection on the second Tuesday of every month from 1-2 PM. 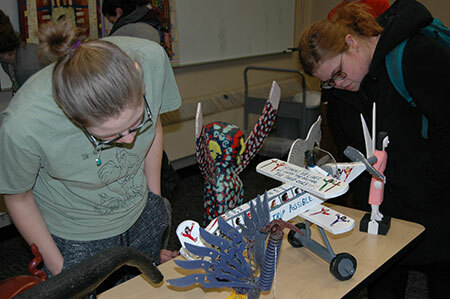 Students from Assistant Professor Kay Wells’ ARTHIST 355: American Folk Art course viewed objects from a recent donation of folk art to the UWM Art Collection on Wednesday, April 5, 2017. 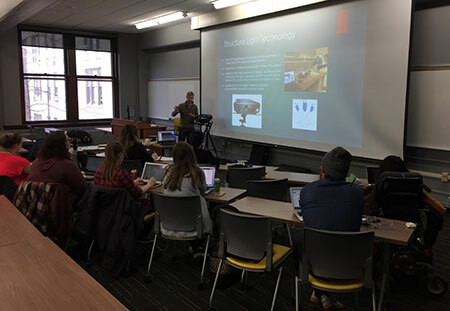 On Monday, March 27, Professor Derek Counts welcomed Kevin Garstki (ABD, Anthropology, UWM) to his ARTHIST 710 colloquium (“Roman Copies of Greek Original Sculpture”) to discuss 3D visualization in art and archaeology. 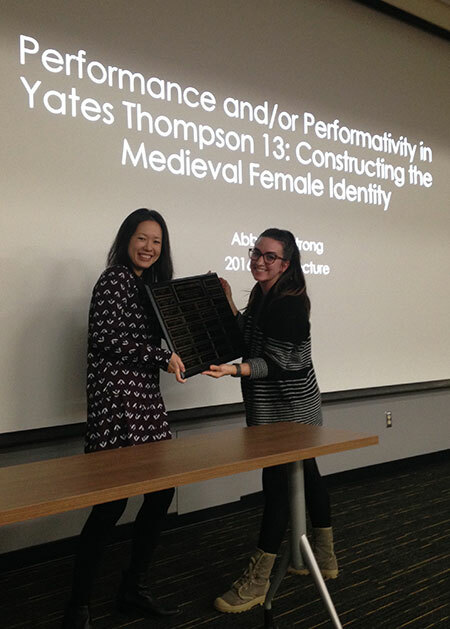 The Department of Art History was featured in the February 2017 edition of the College of Letters & Science In Focus monthly newsletter.